Discover some of the most unique and fascinating destinations and experiences in Mexico with a small group of like-minded travelers on a guided tour. 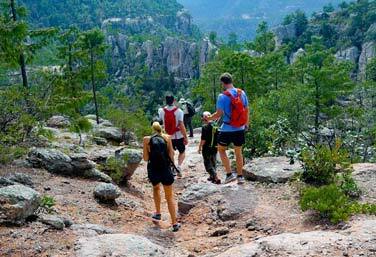 Explore the stunning Copper Canyon, a network of six canyons larger and deeper than the Grand Canyon, or travel to Oaxaca to experience the mystic Dia de los Muertos or Day of the Dead celebrations. As the leading specialist for authentic, luxury travel to Mexico, Journey Mexico has designed completely unique and original itineraries with Mexico’s best and most knowledgeable guides for those seeking a guided group travel experience in Mexico. 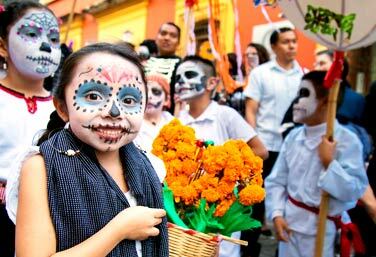 Discover the colorful Mexican holiday of Day of the Dead (Día de Muertos) in Oaxaca to experience the beliefs and traditions of life after death.